Are you looking to submit your event to our calendar? Great! We&apos;re always on the lookout for fun events for visitors to check out. Before submitting your event, please review our tips and requirements below. What types of events are we looking for? 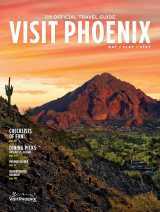 The Visit Phoenix events calendar is aimed at visitors and locals seeking leisure activities. A good consideration is: "Would I do this while on vacation?" Must include a full description of the event and what visitors can expect. Must include a high-resolution image of the actual event when possible. Exceptions can be made for first-time events. Event flyers—especially those with a lot of text—and logos are not ideal and unlikely to be approved. Images in landscape orientation, 3:2 ratio and at least 900x600 pixels are highly preferred. Please do not use all caps. Example: Please don&apos;t submit that "Our event is FUN AND FREE." Please use complete sentences in the description. Please do not capitalize words that are not proper nouns and adjectives. Example: Please Don&apos;t Submit Sentences That Look Like This. Your event will not automatically be added to the calendar once you click "Submit My Event". It will first go through an approval process to make sure that it contains all the information needed to be added, and that the event is appropriate for our calendar. If you have any questions or encounter any errors while submitting an event please contact Chad Hays at chays@visitphoenix.com or (602) 452-6234.